Spartanburg, SC: God sent an angel for his loving Christian servant, Darrell O’briant Murray, Wednesday evening, March 13, 2019 at his place of employment, AFL, 112 Hidden Lake Circle, Duncan, SC. Native of Greenville County, SC, he was a son of Marcella Murray of Spartanburg, SC and the late Rev. Kenneth Murray Sr.
A 1992 graduate of Greer High School, he was a Tight End for the 1989 Greer High School State Championship Football Team. He received a BS Degree from Livingstone College in Salisbury, NC in Criminal Justice. He was a great athlete in both football and basketball and was an inductee into the 2018 Livingstone College Football Athletic Hall of Fame. Darrell was a member of Maple Creek Baptist Church and an employee of AFL Global in Duncan, SC. He had a pleasing personality and was loved by all that came in contact with him. He was a gentle giant that will be greatly missed in the home and the community. He was preceded in death by a brother, Neil Murray. Surviving are: sons, Christopher Shawn Owens of Piedmont, SC and Darren O’briant Murray of Anderson, SC; daughters, Porsha Murray of Greenville, SC, Ciara Brianne Murray of Spartanburg, SC and Marshea Jeaneta Murray of Greer, SC and Bennecia Brachae’ Lyles of Spartanburg, SC; brothers, Rev. Kenneth Murray Jr. of Union, SC, Stephanie and Frederick Murray, both of Spartanburg, SC and Danny Glenn of Simpsonville, SC; sisters, Kendra Milette Burnside of Duncan, SC, Tracy Michelle Watson and Tasha Rene Murray, both of Moore, SC and Sherry Nicole Burnside of Spartanburg, SC; 2 grandchildren; a host of nieces, nephews, other relatives and many friends. Funeral services will be held 2:00 pm, Wednesday, March 20, 2019 in New Jerusalem Baptist Church with the Pastor, Rev. Steve Watson Sr. and Rev. 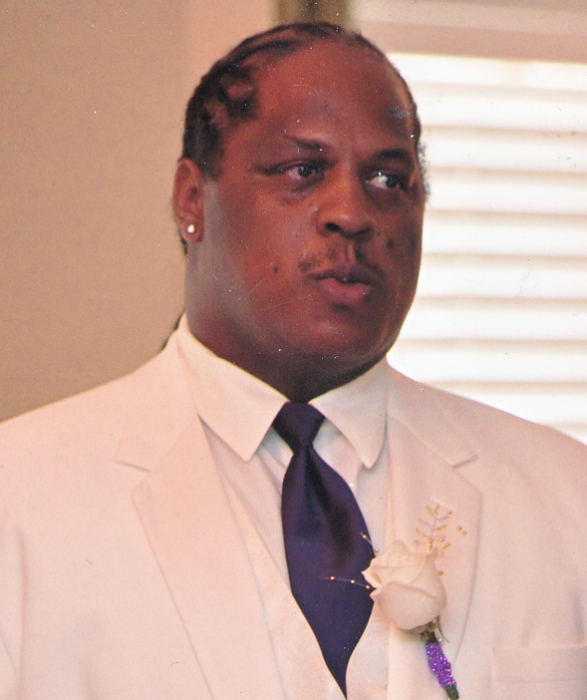 Kenneth Murray Jr., officiating, Burial will follow in Maple Creek Baptist Church Cemetery.